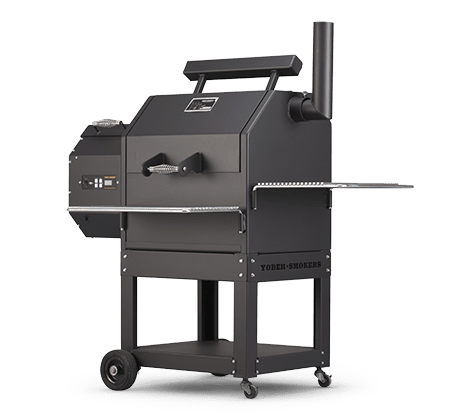 Yoder Smokers Pellet Grills come standard with an easy-to-use digital control and two convenient exterior shelves. With expansive cooking surfaces-ranging from 800 to 1,070 square inches-combined with nearly twelve inches of headroom, there's plenty of room for anything, including beer can chickens or turkeys. YODER SMOKERS 2017 The Durango 20"
YODER SMOKERS 2017 The Durango 24"